A little taste of history in Salisbury. Anyone have more information to share? 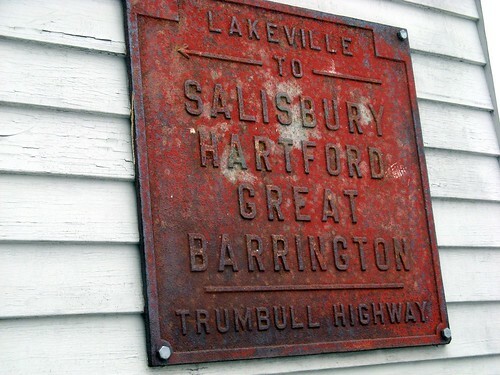 I looked up "Trumbull Highway" on Wikipedia -- there is an old (defunct) state highway by that name but it didn't run out this way - it connected Franklin to Andover - a completely different part of the state.